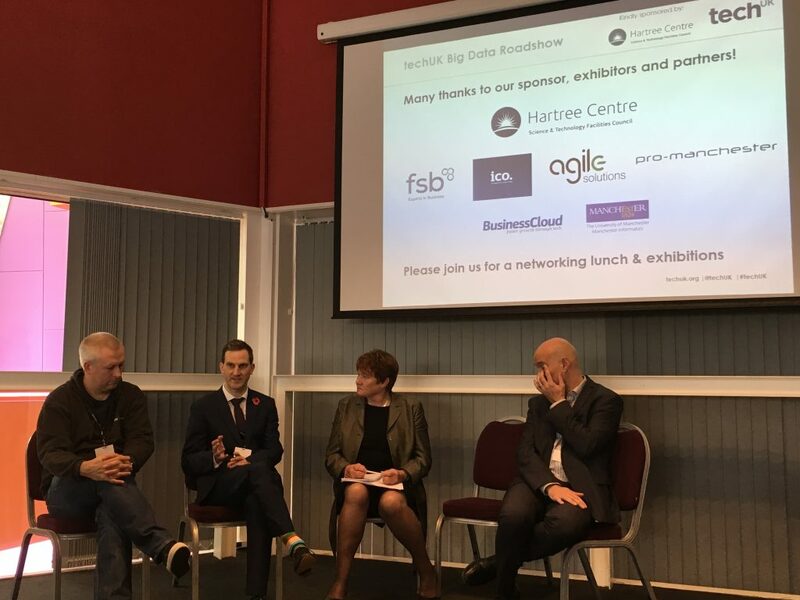 Last week, the Hartree Centre sponsored TechUK’s Big Data in Action Roadshow in Manchester, held as part of a series of events across the UK to demonstrate the tools and technologies available for businesses to use, explore and get value from their data. Read on to find out how the day unfolded. Several industry leaders were on hand to present their work on big data, many choosing to use case studies to bring their ideas and innovative use of technology to life for the delegates. A key theme underpinning the day was the importance of working collaboratively with partners to stimulate innovation and get the most from data sets. The opportunities afforded by data analytics in healthcare were highlighted by several speakers from SMEs to large public sector organisations. 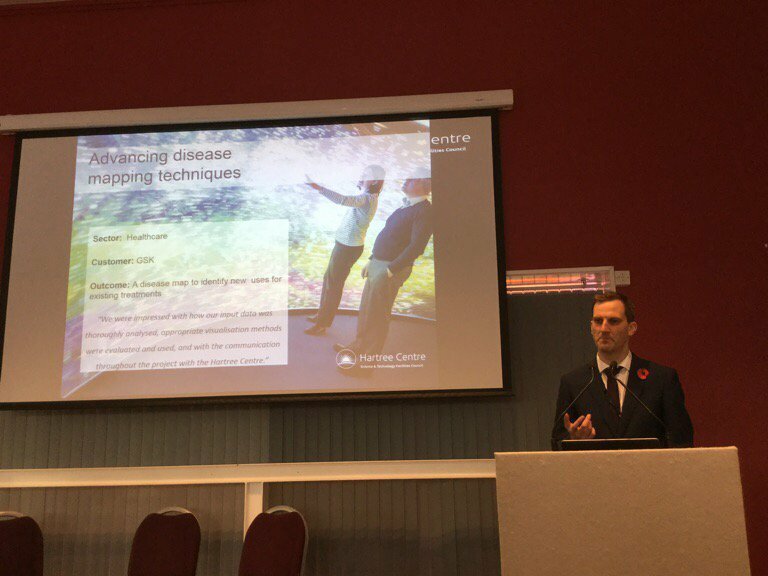 Our Deputy Director, Michael Gleaves spoke about three of the Hartree Centre’s success stories that all benefited from adopting a logical innovation framework to improve products and services for our partners. He talked about our work in cognitive computing with Alder Hey Children’s Hospital, integrating IBM Watson to improve patient experience in care pathways. Michael went on to talk about our data visualisation work with GSK that helped to uncover vital connections between disease pathways. He finished by looking forward, highlighting cognitive computing, machine learning and simulation as fields with great potential. 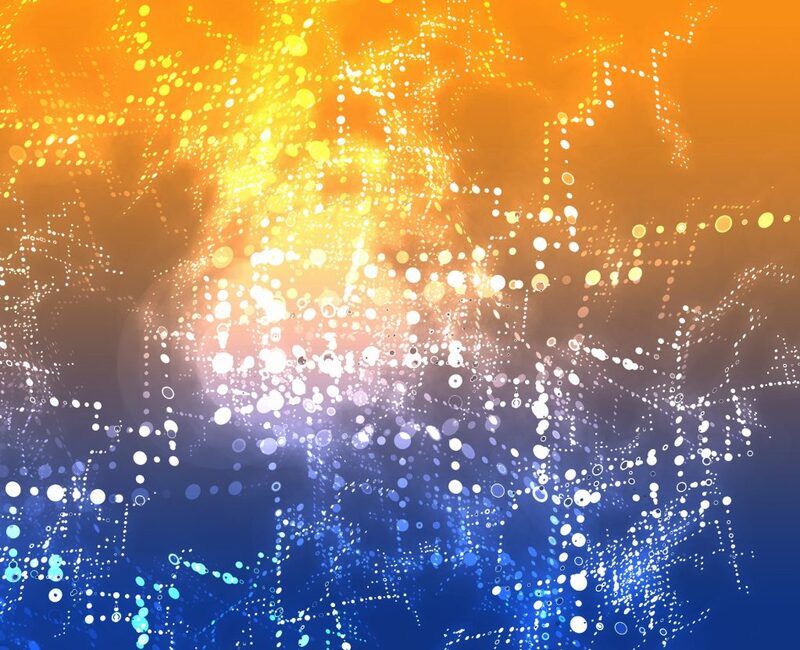 Daniel Ray, Director of Data Science from NHS Digital opting to use the term “data asset” to refer to big data, positively framed the opportunities and adaptability data can bring when creating an environment to use it within an organisation. Daniel went on to look at how data has been used inform health policymaking and the ambitions of NHS Digital in linking data by default throughout the patient journey to better understand health outcomes. Staying with the topic of health, Mike Broomhead, Health Care & Life Sciences Industry Architect & Chief Technology Officer from IBM explained that the healthcare system is dealing with data overload with the average person projected to generate over 1 million gigabytes of health-related data. Mike suggested the challenge for the healthcare sector lies in optimising and understanding their data, learning from it and developing analytics to input back in to the data to make it more meaningful. He finished his presentation by stating that success in data analytics is “outcome led” and that strategies need to fit with this, regardless of the size of an organisation and their existing infrastructure. Julia Ross, Chief Operating Officer from Pi Care and Health reinforced this with details of how PI Ltd interpret big data to provide a holistic view of the health service, showing how data analytics can impact real people on a daily basis. Julia finished by discussing examples of how working in partnership with local authorities and NHS trusts can lead to faster identification of system pressures and result in more streamlined organisational processes better outcomes for patients. The final presentation of the event was from Ian Massingham, Technical Evangelist from Amazon Web Services, demonstrating it as a tool for businesses of all sizes when it comes to big data and cloud computing. Ian went on to emphasise that customers should choose the appropriate tools and services for both the job and their organisation to get the most value out of their data. Presentations were followed by a panel discussion chaired by Sue Daley, Head of Programme, Cloud, Big Data & Analytics from TechUK. The panel were asked about the future challenges in the field. Michael Gleaves took time to explain how the Hartree Centre is responding to the skills gap in data science by working in partnership with universities to build MSc programmes in order to grow the future workforce with the right skillset. The rest of the discussion honed in on the importance of governance, asking the right questions of your data and taking advantage of both technical and business acumen in driving forward innovation in big data. Lunch and networking rounded off the event with lots of ideas shared and connections made. For us, it was a privilege to meet delegates from organisations of all shapes and sizes and gain an insight in to the breadth of innovation in big data analytics across a such a wide variety of sectors. If you want to read more about this event and to see copies of the presentations, visit TechUK’s insight ‘techUK Gives Big Data a Health Check in Manchester’.